To an average person deprived of knowledge of how data transmission works, the term Encryption may be a little loaded in meaning. But in actual fact, it does spell out the literal meaning of the English word. To encrypt essentially means to "hide" from unwanted persons. it is important to have the basic understanding of this word as it relates to how the data we generate daily (the pictures, text and all) are sent from family, friend or business across the network of networks i.e the internet. Coupled with the explosion of cloud technologies and the continuous reduction in cost of the methods in which data can be stored, the need for encryption has never been more relevant. 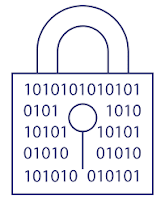 Owing to the widespread connectivity brought about by the cloud, data can be encrypted in transit (end-2-end) or at rest. 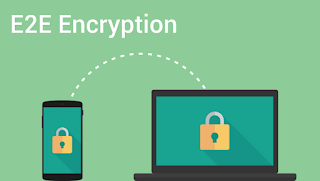 Encryption is the process of encoding a message or information in such a way that only authorized parties can access it and those without authorization are unable to access. The message to be disguised (plaintext) is made intelligible to an interceptor using an encryption algorithm (cipher). The new message or data created is called the ciphertext. 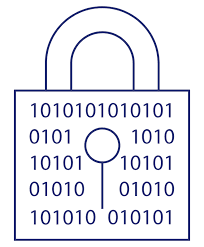 Data Encryption Standard is a previously predominant algorithm for the encryption of electronic data. It takes a fixed length string of plaintext bits and transforms it through a series of complicated operations into another ciphertext bit strings of the same length has a 64 bit block size. The actual block size used is 56 bits. It uses a key to customize the transformation, so that the decryption can only be performed by those who know the particular used to encrypt. Steam cipher: here series of randomized numbers or keystreams are used to make intelligible plain text per character of the text. Public-Key , also known as asymmetric cryptography, refers to a cryptographic algorithm which requires two separate keys one of which is secret and the other public. Although different but they are both mathematically linked. The public key is used to encrypt plaintext or to verify digital signatures between two end nodes. A public encryption key requires a private decryption key. The private key is only know to the sending computer, while the public key is given by the sending computer to any computer that wants to communicate securely with it. To decode an encrypted message, a computer must use the public key of the originating computer and its own private key. Key pair is based on prime numbers of long length. Private Key cryptography: This is the possessed by the receiving computer in combination with the sending computer’s public key to decrypt messages sent between them. It is a symmetric algorithm that uses same key for encryption and decryption. AES Advanced Encryption Standard is a specification for the encryption of electronic data. It was developed by two Belgian cryptographers, Joan Deaemen and Vincent Rijmen .It belongs to a family of ciphers called the Rijndeal cipher, with different key and block sizes. Each with a block size of 128 bits, but different key lengths: 128, 192, 256 bits. AES is based on the principle known as substitution permutation network. It is worth mentioning that for encryption and decryption of data, keys used in scrambling or unscrambling such data must not be accessible to any one not meant to have access to it. Hence key management is of utmost importance in the encryption process. back and forth without the risk of data corruption (changed) or sniffed. identification settings to bad actors which they can use to install malicious files on your device. NordVPN, CyberGhost to name a few. Telecommunication is the transmission of information over significant distances to communicate. 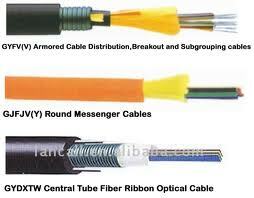 In modern times, telecommunications involves the use of electrical devices such as the telephone,telegraph, and teleprinter, as well as the use of radio and microwave communications, as well as fiber optics and their associated electronics, plus the use of the orbiting satellites and the internet. A revolution in wireless telecommunication began in the 1900s (decade) with pioneering developments in wireless radio communication by Nikola Tesla and Guglielmo Marconi. 4G is the fourth generation of cell phone mobile communications standards. It is a successor of the third generation (3G) standards. A 4G system provides mobile ultra-broadband Internet access, for example to laptops with USB wireless modems, to smartphones, and to other mobile devices. Conceivable applications include amended mobile web access, IP telephony, gaming services, high definition mobile TV, video conferencing and 3D television. 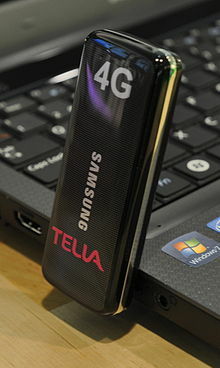 Two 4G candidate systems are commercially deployed: The Mobile WiMAX standard (at first in South Korea in 2006), and the first-release Long Term Evolution (LTE) standard (in Scandinavia since 2009). LTE (an initialism of Long Term Evolution), marketed as 4G LTE, is a standard for wireless communication of high-speed data for mobile phones and data terminals. It is based on the GSM/EDGE and UMTS/HSPA network technologies, increasing the capacity and speed using new modulation techniques. Long Term Evolution LTE is a revolutionary mobile technology which enhances the data transfer rates delivering faster mobile broadband experience and highest data speeds and reliability. LTE is an advancement in technology to the 3.5G and High Speed Packet Access, HSPA. It provides ubiquitous services for users on the GSM technology curve and also others on CDMA and WiMAX platforms and is touted to offer the path breaking 4G experience for consumers. 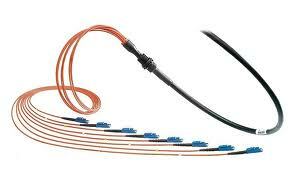 This is due to its ability to deliver very fast data speeds in excess of 100Mb/s uplink and 50Mb/s downlink. The LTE specification provides downlink peak rates of 300 Mbit/s, uplink peak rates of 75 Mbit/s. LTE has the ability to manage fast-moving mobiles and supports multi-cast and broadcast streams. LTE supports scalable carrier bandwidths, from 1.4 MHz to 20 MHz and supports both frequency division duplexing (FDD) and time-division duplexing (TDD). A major issue in 4G systems is to make the high bit rates available in a larger portion of the cell, especially to users in an exposed position in between several base stations. In current research, this issue is addressed by micro-diversity techniques, also known as group cooperative relay, and also by Beam-Division Multiple Access(BDMA). III. FiOS Digital voice (Voice over IP). There two providers offering this service in the US presently. This technology is bound to take over the means of bulk data transfer all across the world, opening new frontiers for certified fibre optics engineers.